This herbal foot soak recipe is simple, inexpensive, and fantastic. Use it and these other home foot care tips to treat and pamper your abused summer feet. Do your feet need some special treatment? They are one of the most worn parts of our bodies, yet many neglect them paying the little to no attention. What’s up with that? Our feet deserve better! Today I share three home foot care strategies I use to pamper my feet. For me, the end of the Summer means it’s time to hide my feet! The long flip flop season leaves them dry and tired, with cracks everywhere; and that makes me insecure. But I also love to wear my flip flops until the snow flies. Time to implement the late-summer foot treatment! Whether your feet pound the pavement running 5K’s, chase kids around outdoors, dry out in the hot beach sand or hike up mountains (like Matt), this foot soak recipe will rejuvenate your summer feet. Let your feet drink up this hot tea for tootsies! 2. Place a few tablespoons of the whole, dried herbs into the center of a few layers of cheesecloth. Gather corners and tie at the top with string or yarn to create a sachet. You can also use an old nylon as a sachet, just tie the top into a knot. 3. 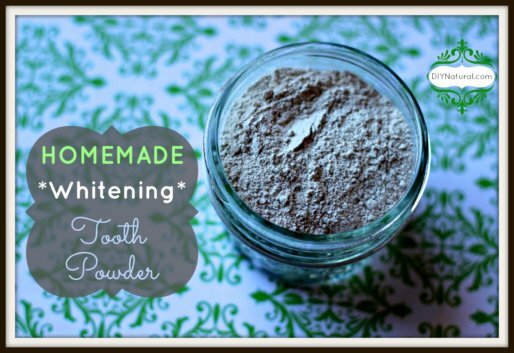 Place sachet into a foot bath or bucket filled with warm water. 4. Put your feet into the foot soak recipe and relax! Are your feet feeling better? We’re not done yet! 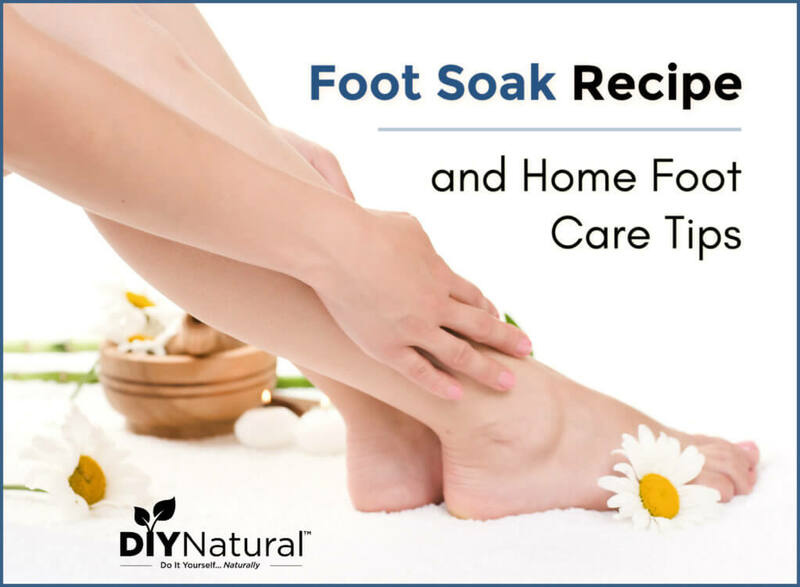 Immediately after soaking in the foot soak recipe, dry your feet and prepare to slough away dead skin and soften any callouses or rough spots. Depending on the shape your feet are in, you may choose an exfoliating tool (pumice stone, foot file) or an exfoliating scrub (sugar/salt scrubs) to get the job done. My rough, neglected feet often require the work of a foot file (different from those scary metal callous shavers), which are usually two-sided with a coarse and fine sandpaper-like material so you can really smooth out problem areas quickly. After soaking your feet in the foot soak recipe, and smoothing them out, doesn’t an invigorating foot massage sound good? My feet are too ticklish to allow anyone else to rub, but if you can handle it, go ahead and recruit someone who has some spare time and a gentle touch! Have your favorite moisturizing foot lotion on hand, or try the following foot massage oil recipe! Add all ingredients to a small squirt bottle and shake well to blend before using. Squirt 3-4 drops into palm and rub palms together to warm oil before massaging feet. Continue massaging until oil is absorbed and feet are refreshed. Cover feet with a pair of cotton socks for a few hours to achieve maximum softness! Label your bottle well and store massage oil in a cool dark place. Warning: Essential oils are pure plant extracts, and are very powerful. As always, use caution when handling, and perform a patch test before using an essential oil that is new for you. If you are pregnant or nursing, consult your trusted health care provider before using essential oils. So don’t put away those sandals and flip flops yet, just because your feet might look sad and tired. Take some time to thank your feet for the miles they’ve taken you this summer and try a DIY foot treatment. 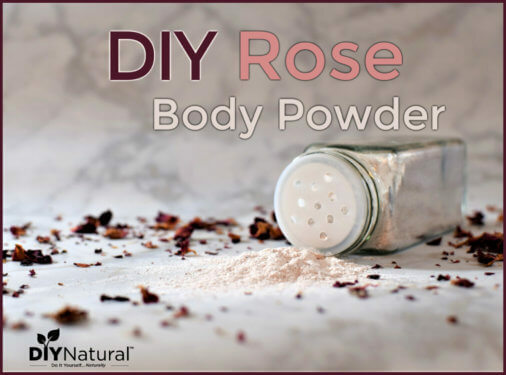 You should also check out our other homemade foot soak. If you have a great foot soak recipe share your ideas with the community below! Great tips! My poor feet are taking a beating as I walk the Camino Trail! I am sure I can easily find some fresh herbs to soak my feet in! Have resorted to twice daily foot massages with a bagful of creams to keep them going, but the thought of a lavender soak sounds delightful! Wonder if the bag of peppermint tea I have been carrying around may also do the trick! With 2 nights to rest in Leon – it is worth the try! Thanks for the tips! As a dancer I think this post was designed for me and my tired feet! This sounds heavenly. Can’t wait to try it! Oh fabulous! Hope you love it! Have you ever worked so long on your feet that it was painful to get back up on them after you sat down? Fill a pan with cold water and add lots of ice. Stir it so it gets good and cold. Then stick one foot into the water and keep it in the water as long as you can stand it….and then wait a few more seconds. Dry it. Switch feet and do the same process. They will still feel tired, but they won’t hurt anymore and the next day they are good as new. An older waitress said it saved her many times. YES! I used to work in retail years ago and my feet would be stuffed into heels for 8 or 9 hour shifts during the holiday rush. I thought my feet would fall off sometimes! Thanks for sharing! As a dancer I am always looking for new ideas to treat my feet to wonderful things. All of these suggestions sound awesome. Most of the ingredients are things I have growing in my garden. I have been making salt scrubs for years. I like to add olive oil to salt for exfoliating and softening my feet. I guess any sort of oil would work. 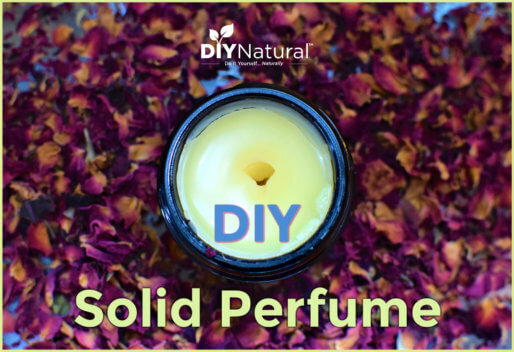 Much cheaper than buying a pre-made products and works just as well. I also like to use lavender oil but it is more costly than olive oil. 1. In the top of a double boiler, place the sunflower oil, chopped chilies, gingerroot, black pepper, and mustard powder. Stir to mix. Heat the mixture gently for 1 hour. 2. Strain through a sieve lined with cheesecloth. Filter the oil into sterilized dark glass bottles. USE: Rub a little of the oil directly into the feet at night to encourage circulation. Note: This oil does heat the skin, so wash your hands after use; keep away from eyes and other sensitive areas. Another one that I’ve used forever is if you have even slightly, um, stinky feet, it is usually from some sort of fungus (according my my Western doctor). Soak in apple cider vinegar for about 20-30 minutes and the smell (and fungus) will be removed. I’ve done this ever since she told me about it and it works! Usually once is enough to take care of the problem for quite a while! Great tip Lisa! I know some people have issues with smelly feet, and it can end up ruining shoes. Would like to add this one for dry, cracked heels. It was copied from my Pinterest page. I do not know the original source. As the Mother of the Bride, I’m collecting all sorts of natural beauty tips in preparation for the big day! First get a bucket of warm water, not to hot, with a cup full of epsom salt. Allow salt to dissolve before placing your feet inside. Once the salt has dissolved, place your feet inside of the water, allow to soak for up to 30 minutes. Remove feet from water after 30 minutes. Scrub gently with toothbrush to remove all loose, dry skin. This only takes a small amount of time. The skin should be very easy to remove. Rinse feet with water and pat dry with towel, need for summer! Great idea to use a (dedicated) toothbrush for exfoliating feet! No need to go purchase a fancy foot brush/file when you might have extra toothbrushes from a dentist visit.